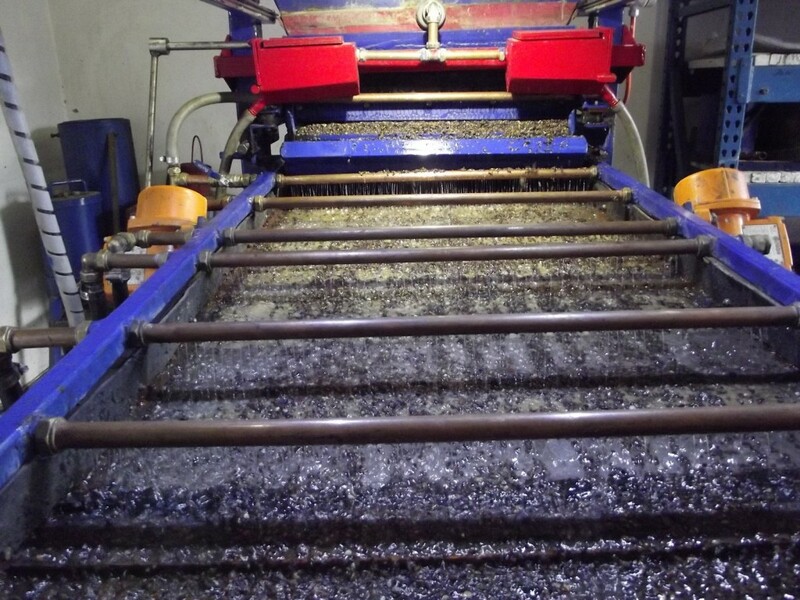 The following factors are of prime importance for the efficient recovery of diamonds from diamond bearing concentrates when using grease recovery. The following is a detailed discussion concerning the above 7 requirements. 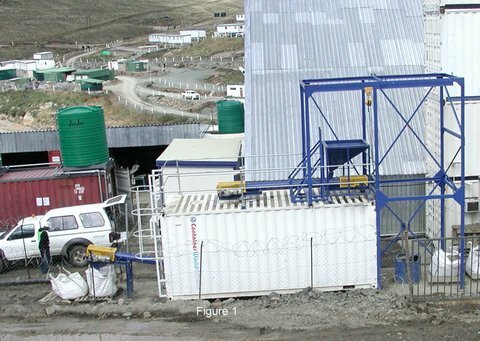 Each point discussed is followed by a description in italics as to how Gondwanaland Diamonds SA grease recovery equipment complies with these requirements. Only good quality grease from a reliable supplier should be used where each production batch has been tested with selected diamonds to confirm efficient diamond recovery. The diamond grease supplied and used by Gondwanaland Diamonds SA (Pty) Ltd is diamond tested prior to use and sale and can only be guaranteed provided the following requirements 2 to 6 are adhered to. 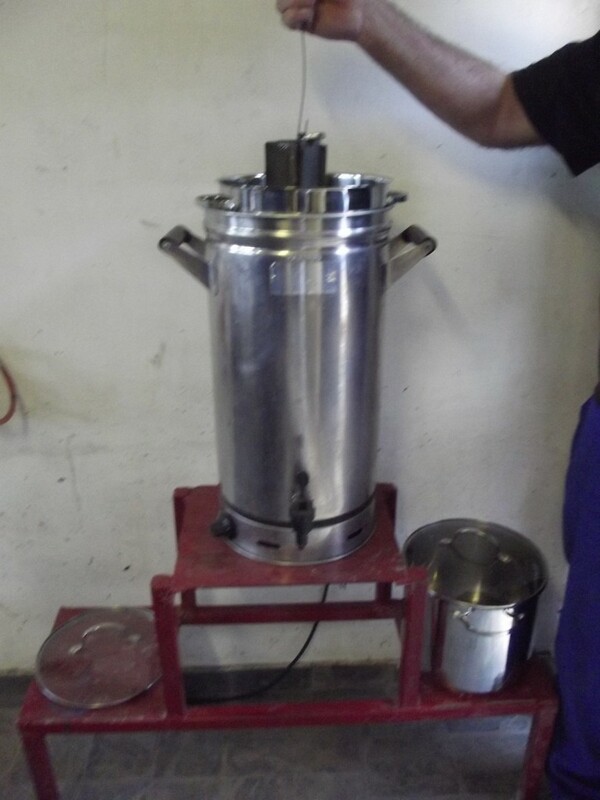 Where the diamond grease is to be recovered by heating and reused after initial usage, the recovered grease must be reconstituted by melting and dissolving 10% of virgin grease into the used grease. This is necessary so as to compensate for the volatiles lost during the initial heating and melting process in the grease recovery. 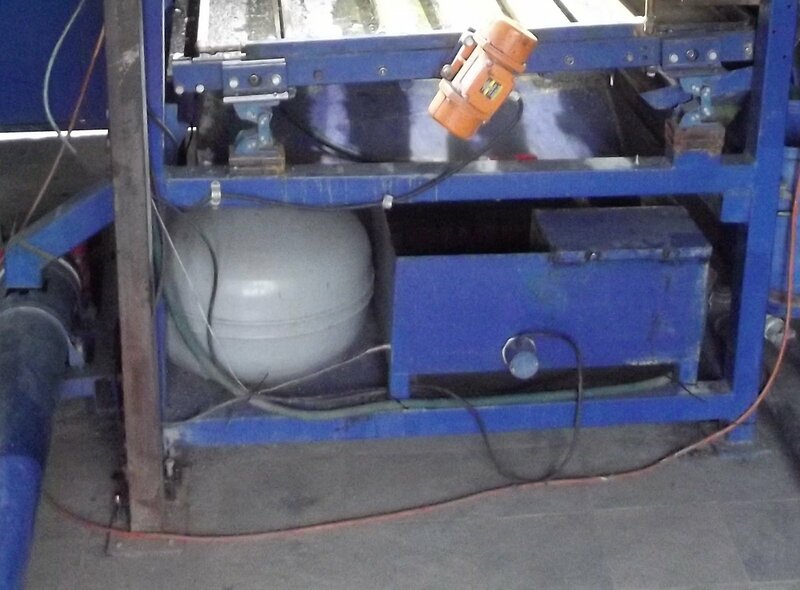 The grease vibratory screen spray water must be clean and preferably contain less than 100 ppm of solids. 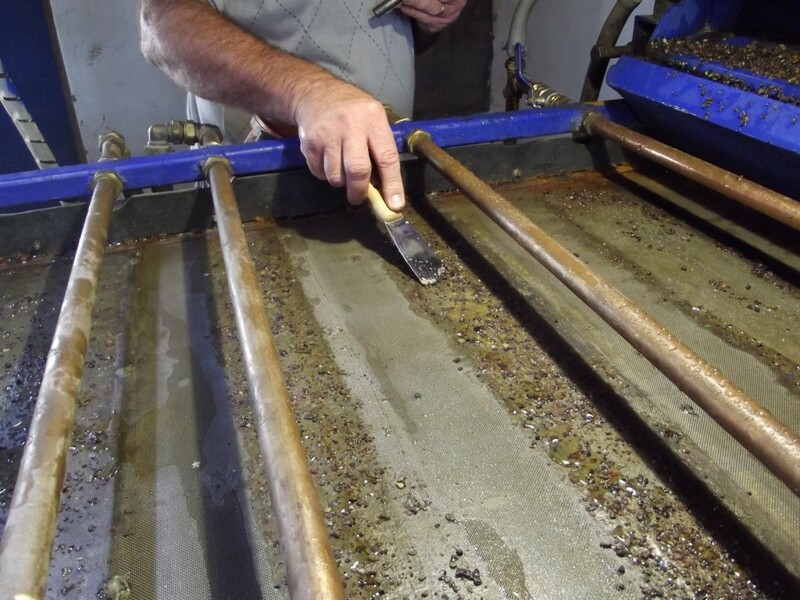 Excess solids in the water will collect on the grease surface and detract from its effectiveness. It is important that the spray water applied to the screen must be at the right temperature so as to maintain a temperature of ideally between 19 and 22°C. Below 18°C diamond loss will occur and above 22°C any foreign material and gaunge will start sticking to the grease and foul the grease surface. The material fed over the grease must be correctly sized into size fractions not greater than 0.5 to 1.0 mm, 1.0 to 2.0 mm, 2.0 to 4 mm, 4 to 8 mm etc. This is so that the largest particle being fed will not dislodge a smaller diamond which is already stuck to the grease. Larger non diamond particles outside the above size range may also knock diamonds already stuck to the grease right into the grease if the grease is too soft or the grease layer is too thick. grease table. Diamonds can be coated to a greater or lesser degree with a atomic, molecular or a more significant coating which will effect their hydrophobic nature and influence their sticking to the grease. A scrubber residence time of 12 minutes is recommended but longer scrubbing may be required. It must be pointed out that diamonds from different deposits or even within the same deposit can have different hydrophobic properties and scrubbing will only enhance the hydrophobic nature of the diamonds. We provide a scrubber which is situated immediately above the grease table and glove box. The scrubber is fitted with a variable speed drive to vary its speed of rotation and a switch to alter the direction of rotation. A helical spiral is fitted into the interior of the scrubber so that the load can be directed to either the rear or the front of the scrubber. 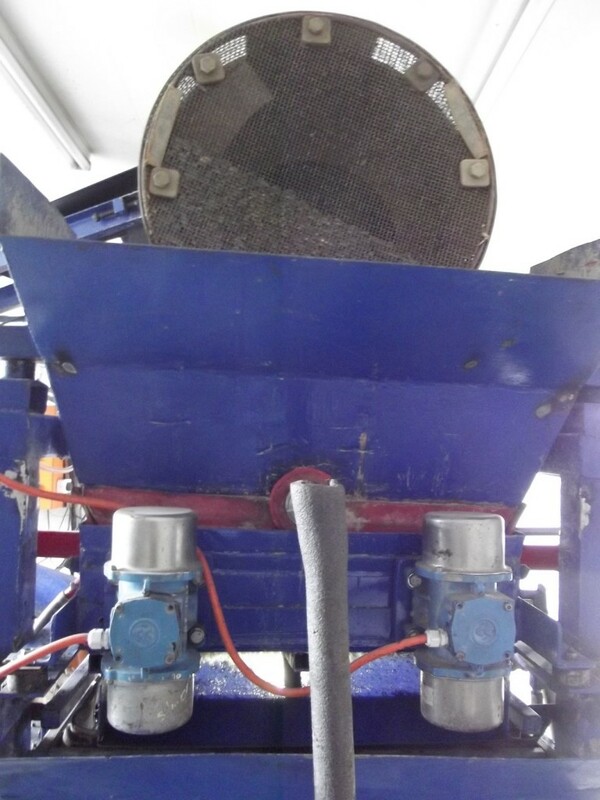 The front of the scrubber is fitted with a heavy wire mesh which will allows for the exit of the scrubbed material. 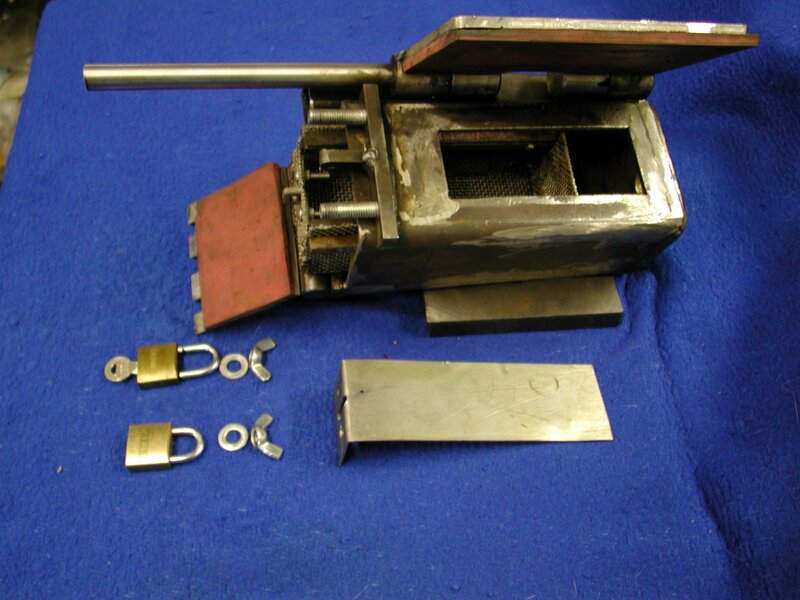 To enhance the effectiveness of the scrubbing, the scrubber can be loaded with aluminium or silicon carbide blocks of a size greater than the exit wire mesh opening. This abrasive load will enhance the scrubbing action in the scrubber. The scrubbers helical feature is also useful in treating batch sample as each sample can be retained in the scrubber when it is traveling in the reverse direction and then rapidly expelled when changing direction. The scrubber is also polyurethane lined to reduce the noise level. 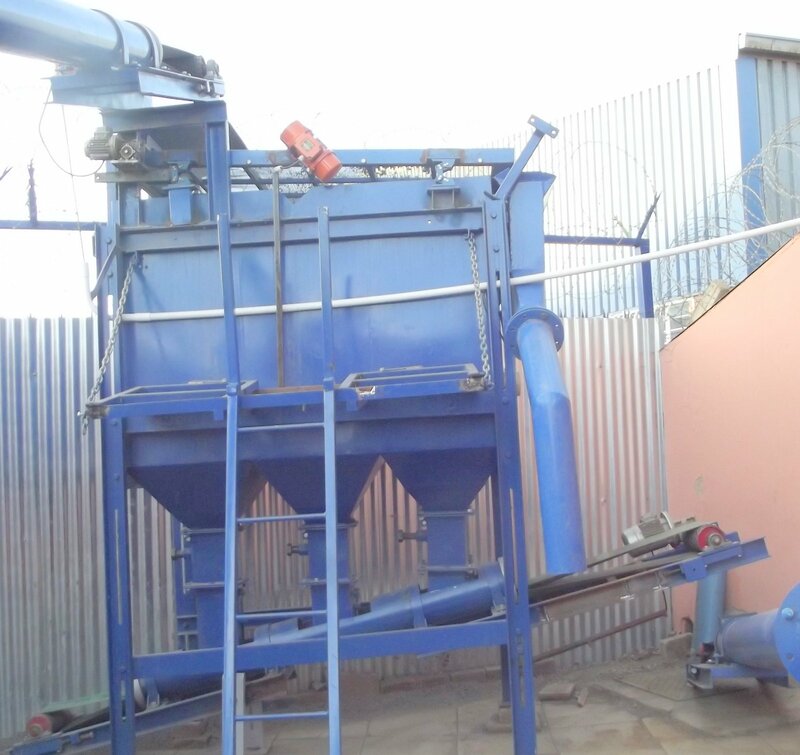 The material being fed into the scrubber must be done at a consistent rate to prevent overloading of the scrubber. 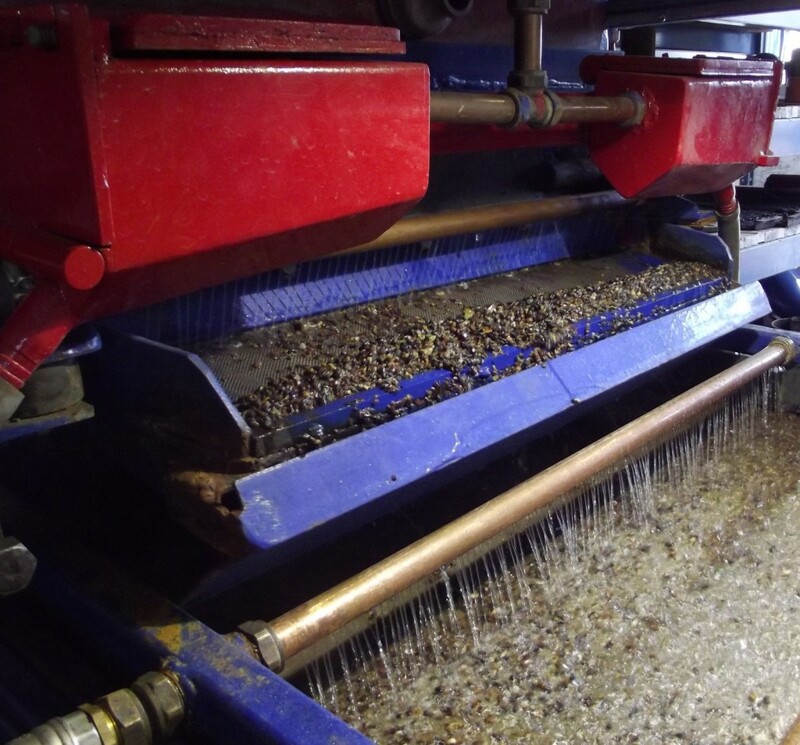 The feed rate of material exiting the scrubber and passing onto the grease screen must be controlled so as to get as even a feed as possible and as close to a mono layer as possible of the material passing over the grease screen. 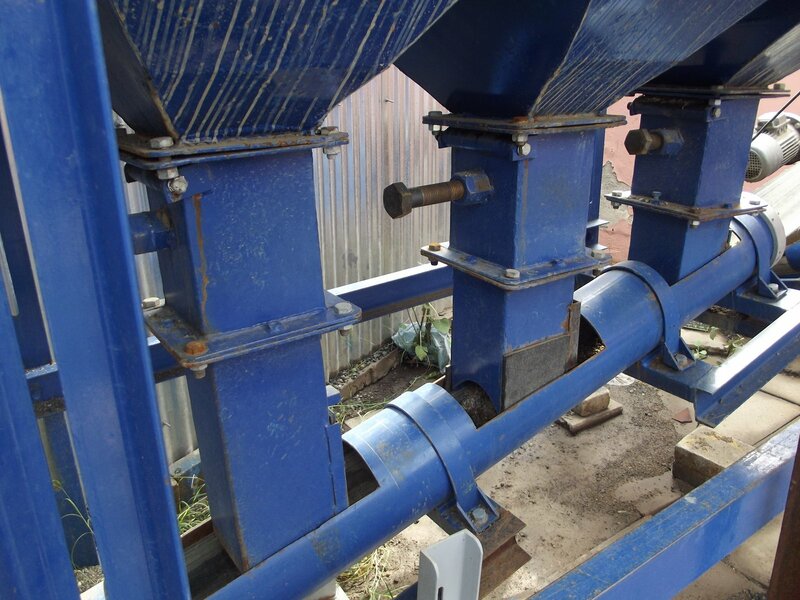 We feed our scrubber with individual pipe conveyors which are fitted with adjustable feeder boxes to prevent overfeeding. 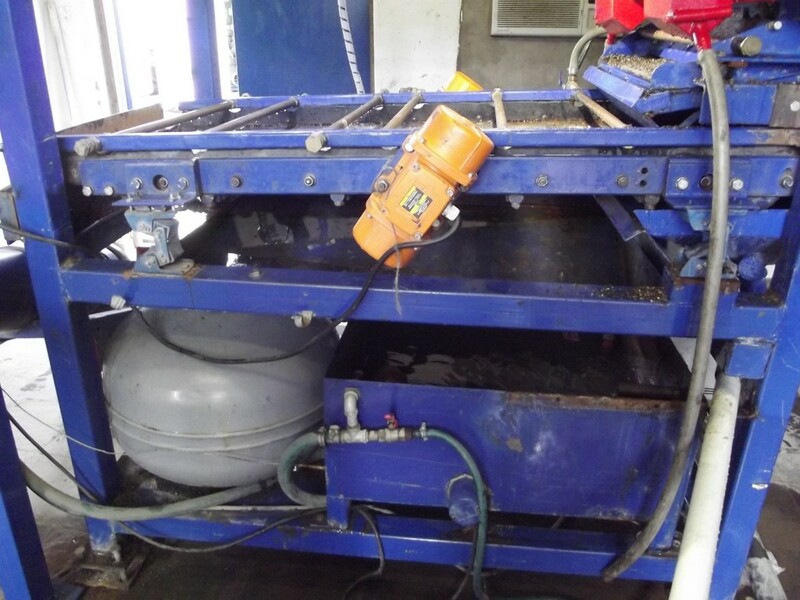 Photo 16 We control our feed from the scrubber to the grease table by means of a surge bin which feeds onto a vibratory screen feeder. Photo 15 This feeder can be adjusted from outside the glove box while the machine is in operation to give an even feed. 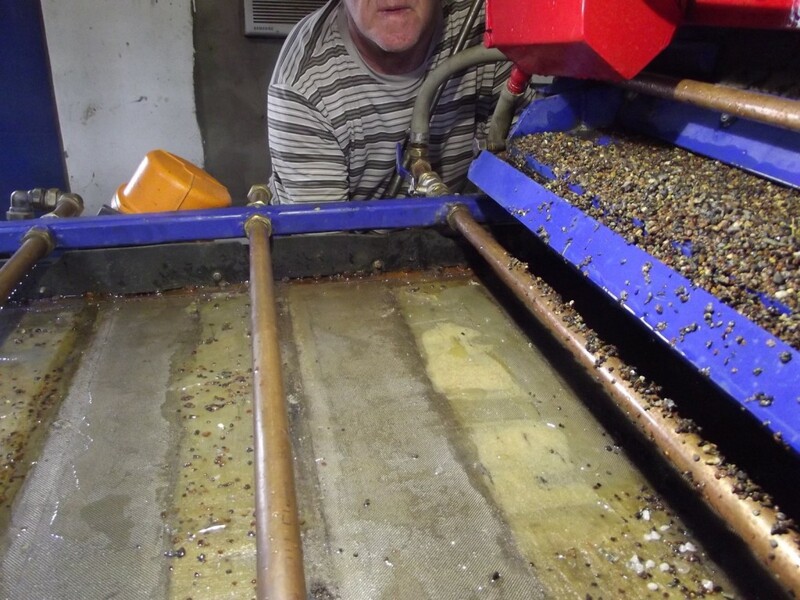 The first section of the vibratory screen feeder gets rid of any dirty water generated by the scrubber. 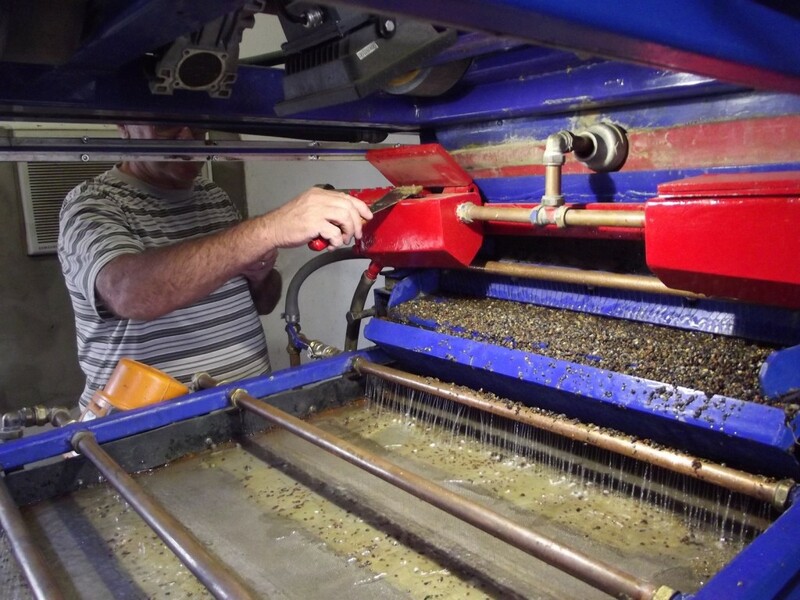 The grease screen should be kept level and should have adjustable water sprayers situated at strategic points to facilitate the optimum recovery of diamonds. Security is of utmost importance in any diamond recovery operation because of the high value in relation to small size of the product which is easily marketability. 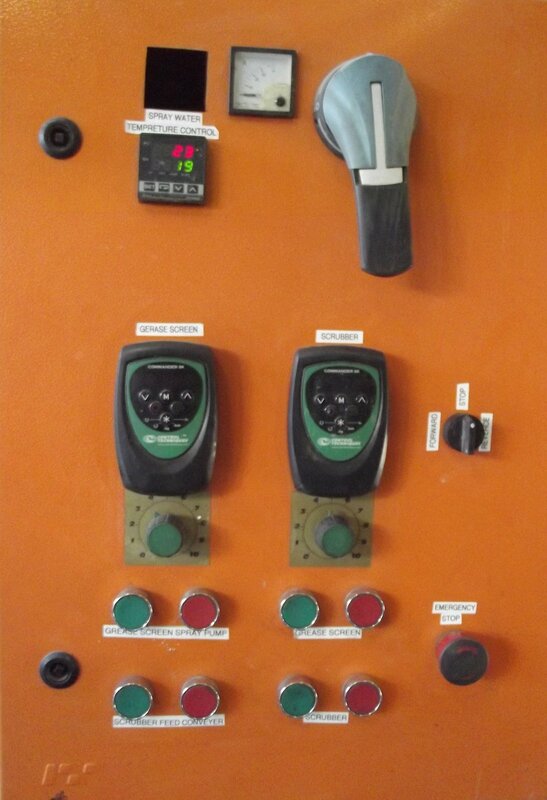 The recovery system should be as hands off and eyes off as far as possible. 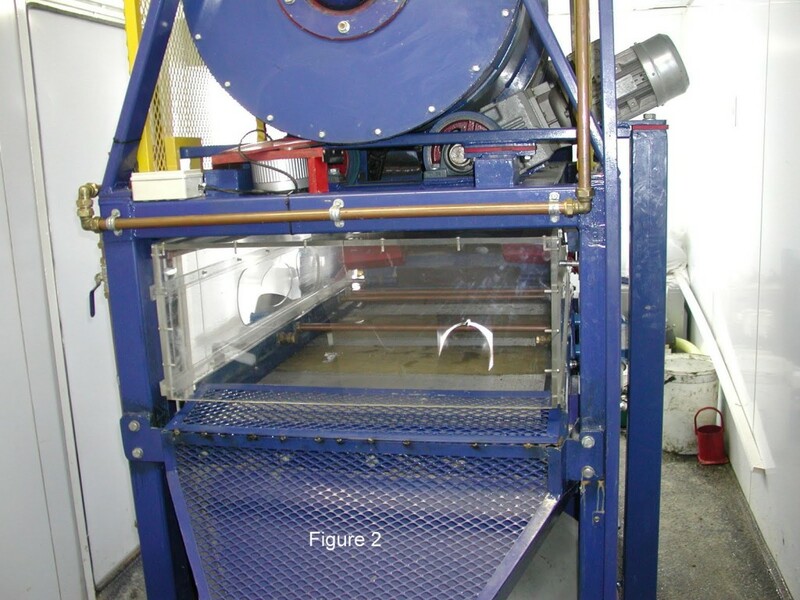 Our grease recovery system consists on total inclosed pipe conveyors and covered screens. 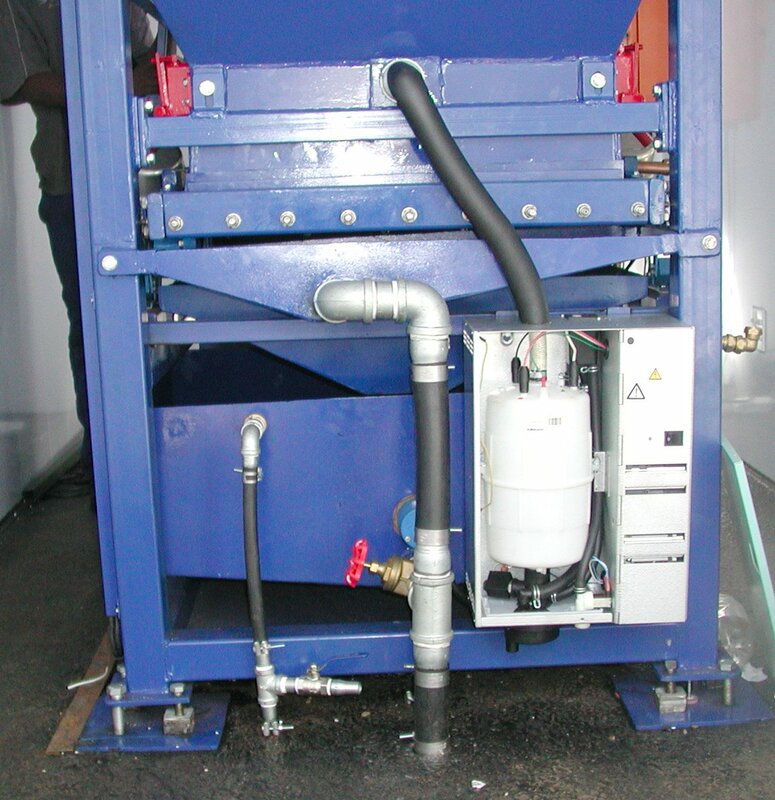 The scrubber and grease screen are also totally enclosed. 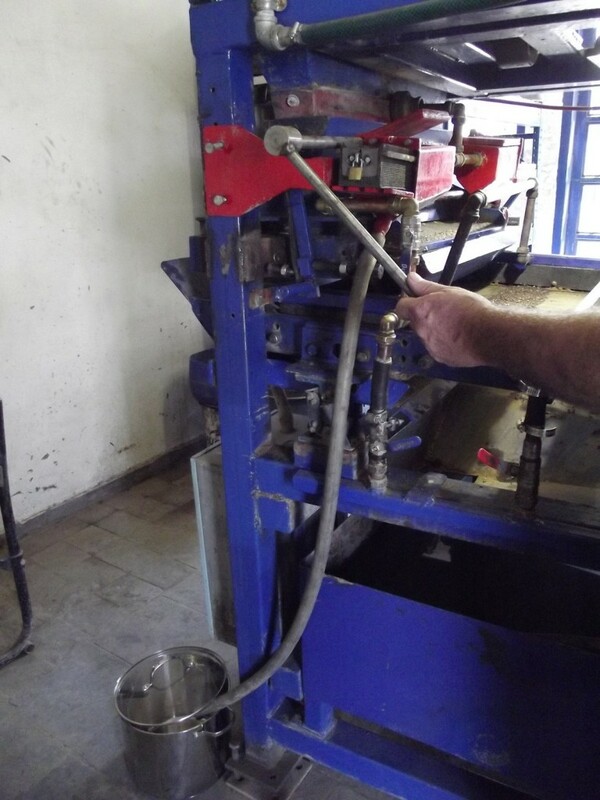 The locked wire basket is now transferred to a oven to dry the concentrate in the basket. The basket is now deposited in a secure glove box where it is opened and sorting can take place. With today’s technology we can supply high definition cameras installed inside and outside the glove box to monitor by computer or cellphone the entire operation on site or preferably remotely by person entirely removed from the diamond recovery operation. Controlled feed, controlled spray water, controlled mono layer of concentrate, controll-ed speed of concentrate over grease table for maximum throughput and diamond recovery. 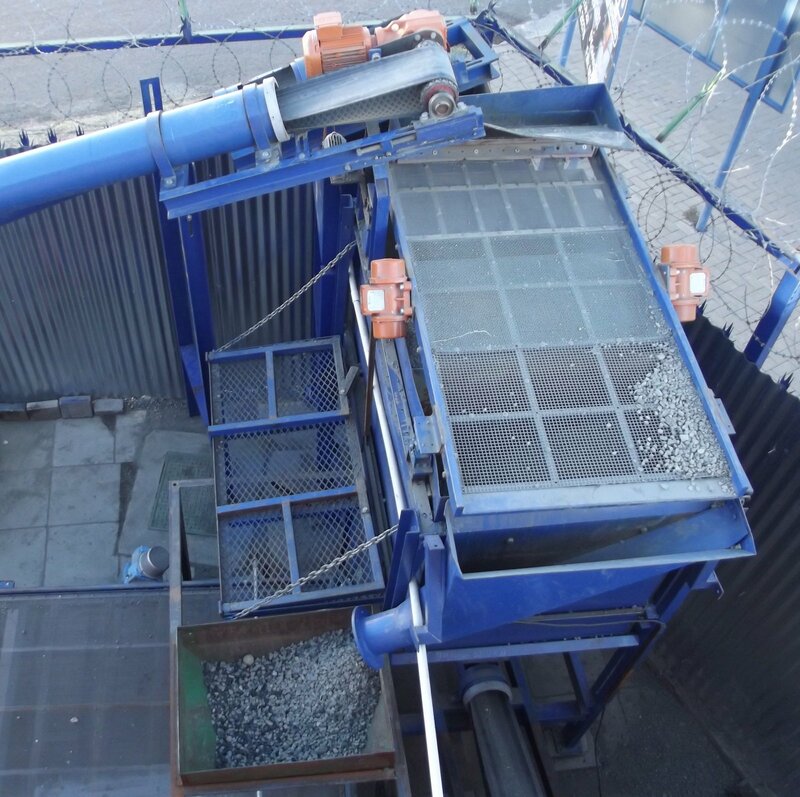 Enclosed pipe conveyors and screening plant are not included with the above 1 to 5 to see our websites on pipe conveyors and vibratory screens for further details.